I must buy this for Ellie's playroom. I can't get over how adorable it is! This storage bin is from the Container Store and also comes in an owl, raccoon, and monkey ($32 each). 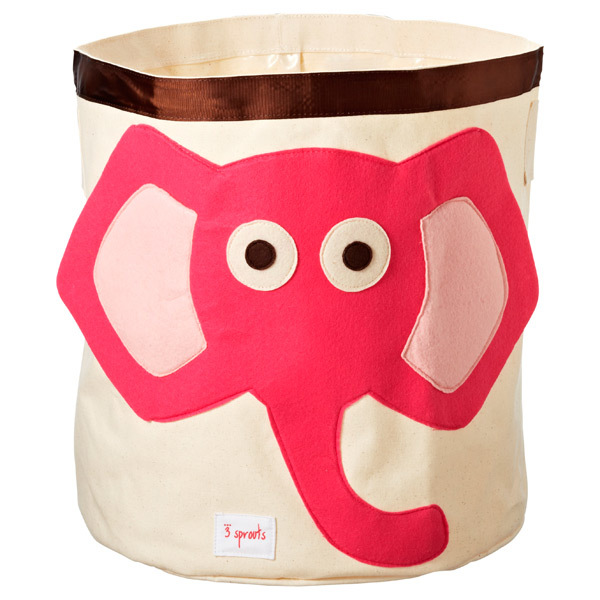 I plan to use shelving and baskets, too, but I like this playful bin. Too cute! Daddy's Day was One to Remember!